Foreclosures are being stopped every day in California with the help of the dedicated attorneys at Consumer Action Law Group. December 8, 2015, Los Angeles, California — Foreclosure is still a very real problem for many families in California. Many people rely on their lenders to offer loan modifications in order to resolve their foreclosure issues. Relying on the lender for help tends to be arbitrary, and most lenders will put their clients in a weak bargaining position. Fortunately, loan modifications are not the only option to protect a house from foreclosure. An experienced real estate lawyer for foreclosure is typically a more reliable solution for the foreclosure issues that homeowners face in Los Angeles, and throughout California. A real estate lawyer for foreclosure issues can be very effective in stopping a sale by filing bankruptcy or through litigation. 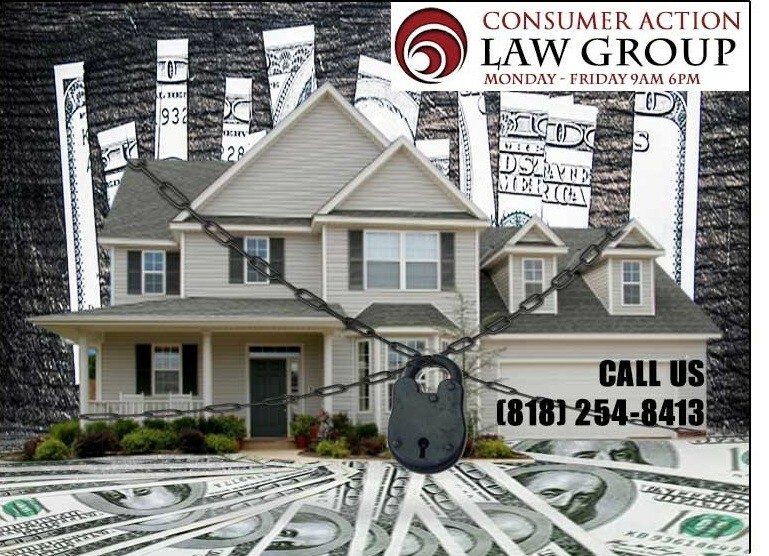 When seeking a foreclosure lawyer Los Angeles is home to Consumer Action Law Group. Their attorneys offer options to fight back foreclosure. In addition to litigation, bankruptcy is often a very effective solution for stopping foreclosure. Bankruptcy stops the foreclosure process immediately, and protects the homeowner’s assets. Taking action is the key to stopping foreclosure. Talking to the best foreclosure attorney Los Angeles is strongly suggested to stop foreclosure. Anyone who lives in California can Call 818-254-8413 or visit http://ConsumerActionLawGroup.com for free advice to stop foreclosure and save a home today.